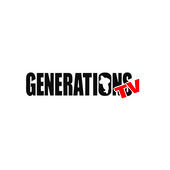 Generations TV is the television of the radio station generations fm 88.2 based in the Paris region created in 2014. It broadcasts mainly hip-hop rap rnb and offers some specialized programs, especially in French rap, rnb or even reggae live. It broadcasts live on the internet via its website.